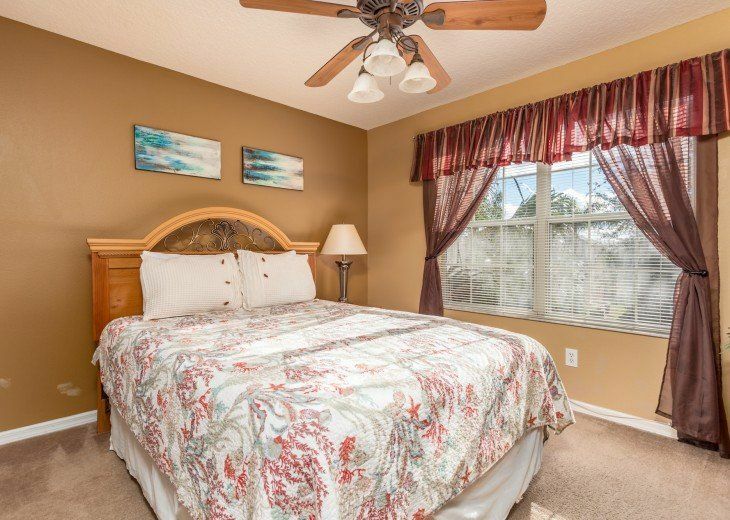 FREE Pool&Spa Heat Sept &Oct~7 Br Home in Emerald isle 3 Miles from Disney! 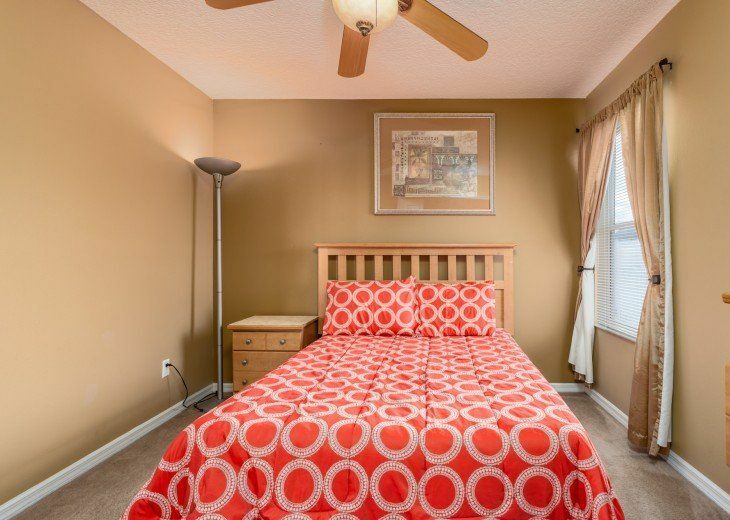 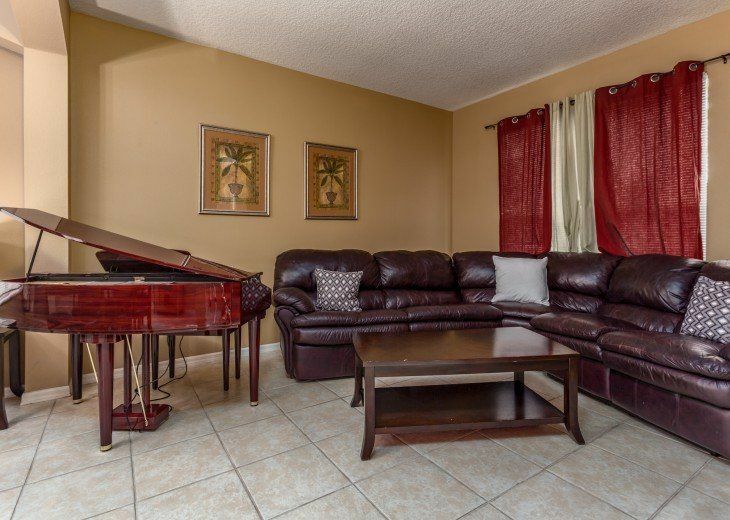 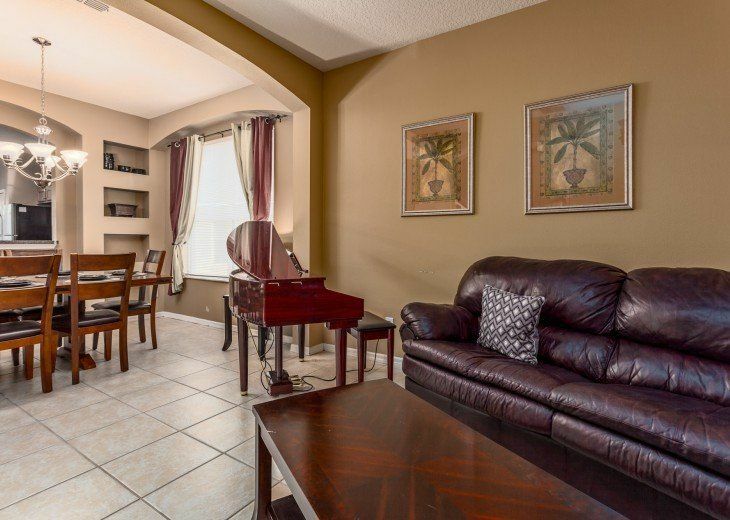 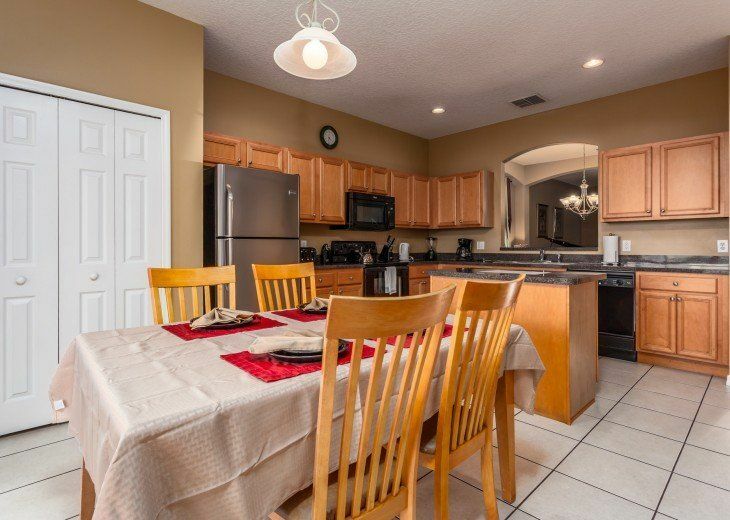 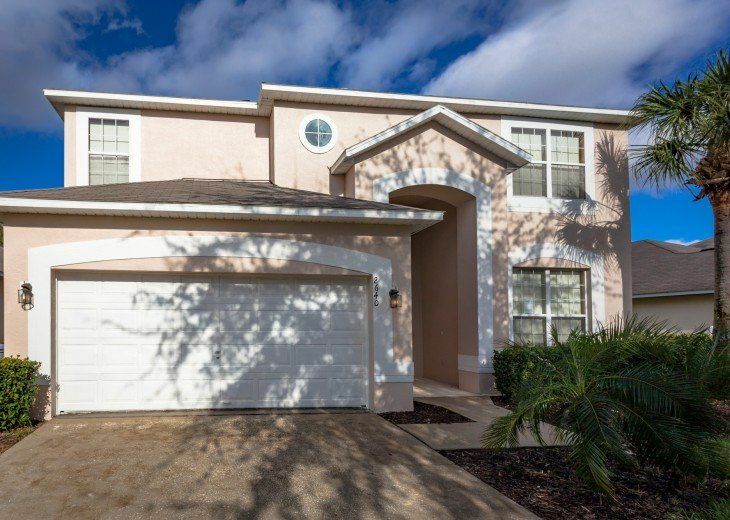 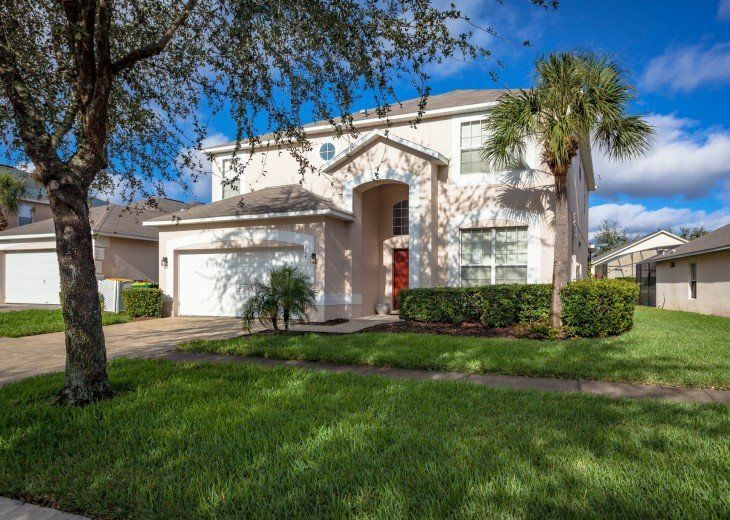 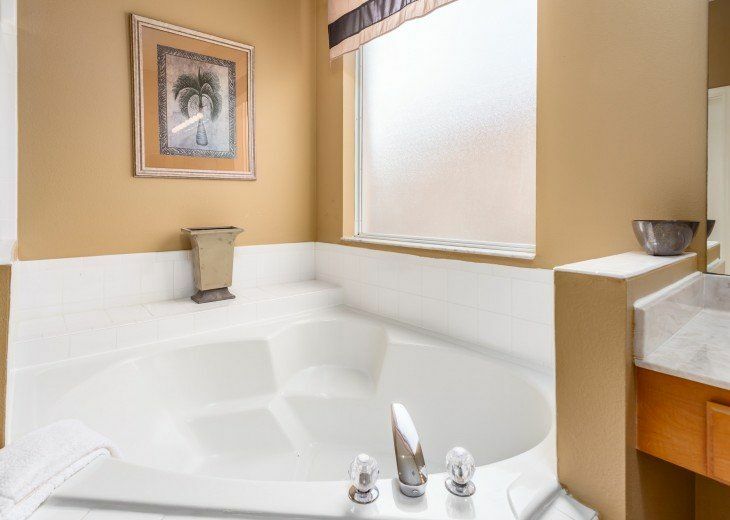 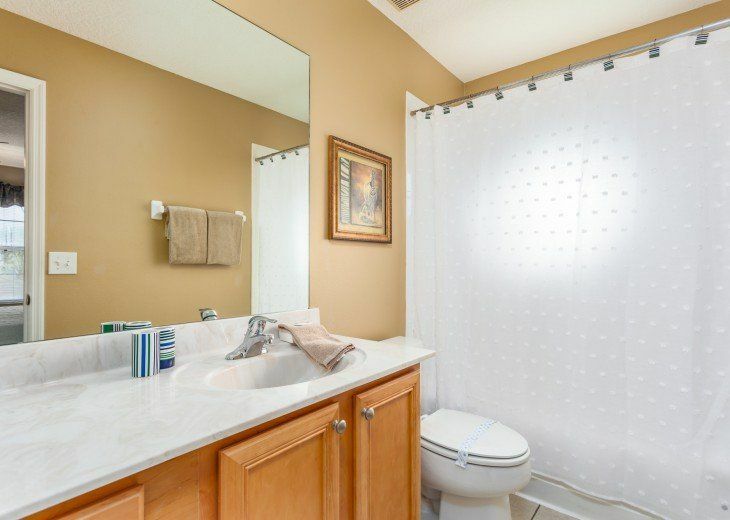 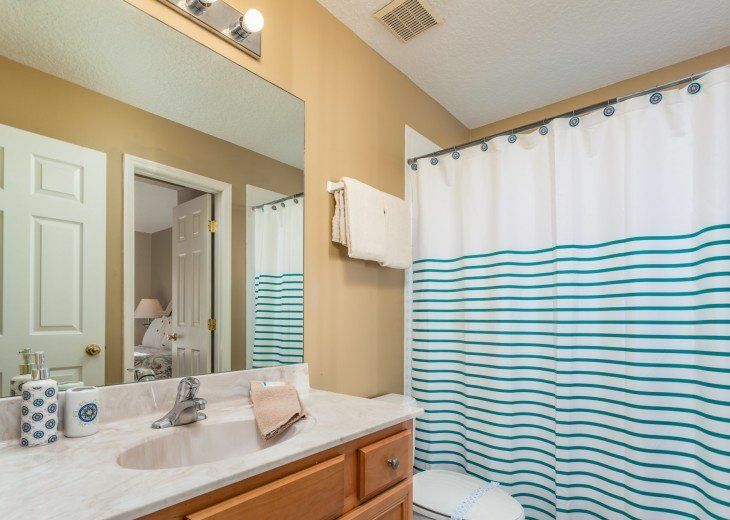 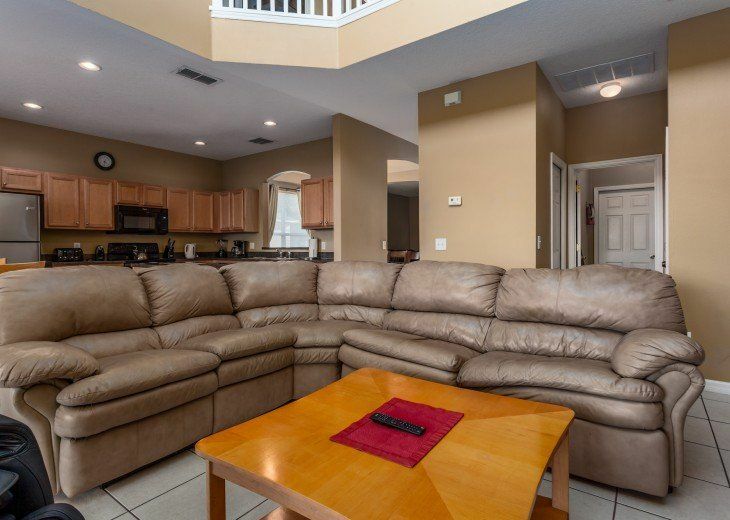 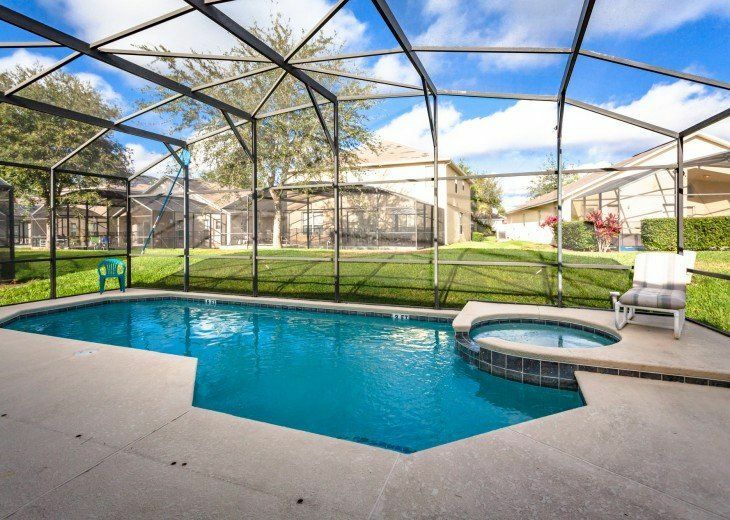 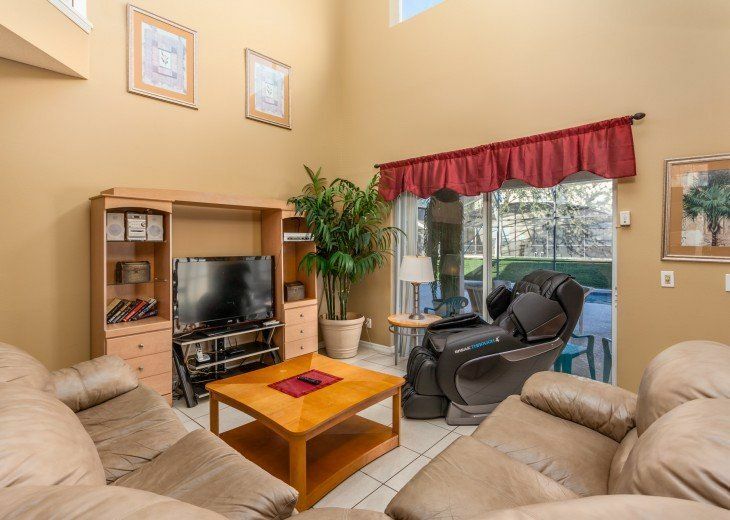 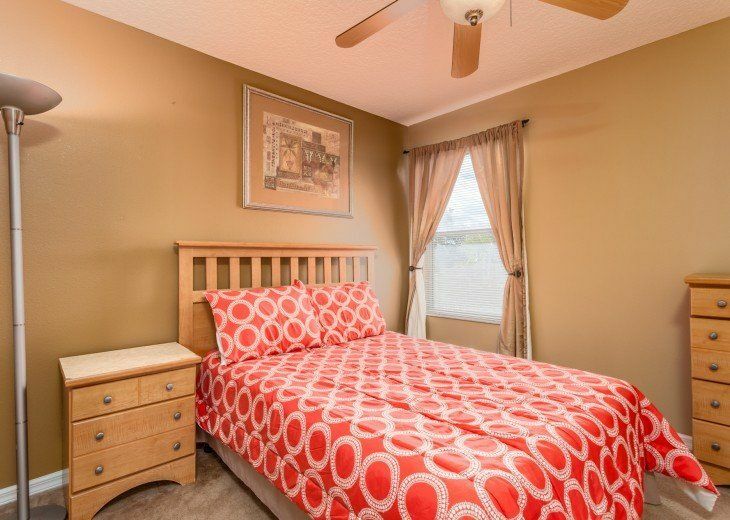 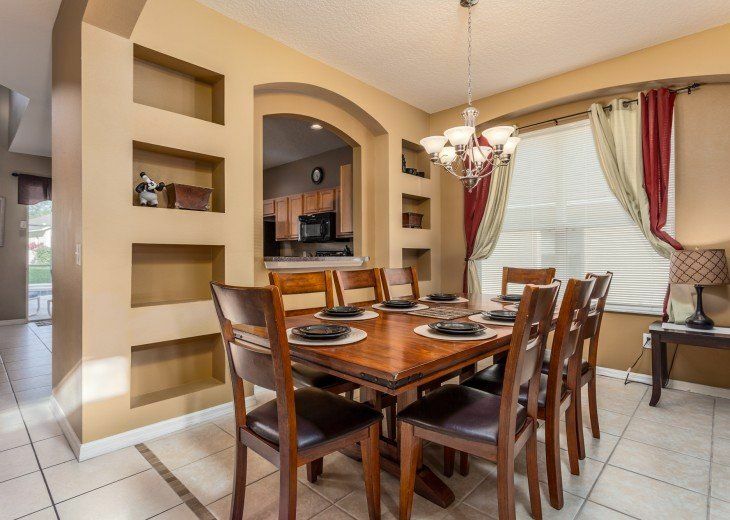 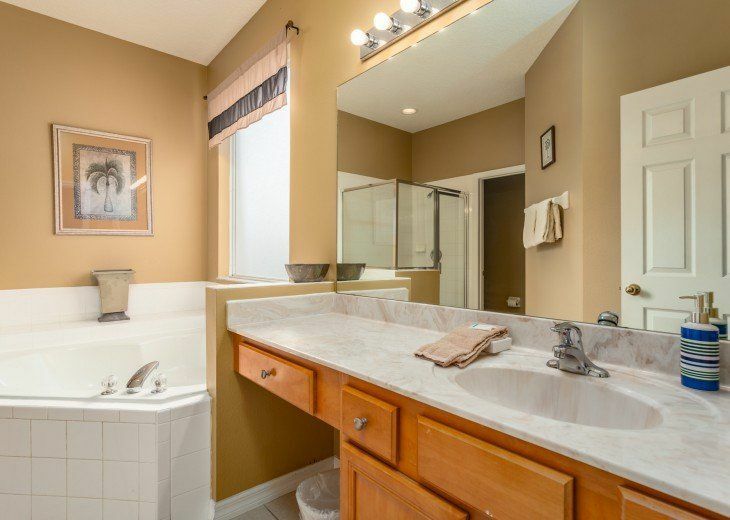 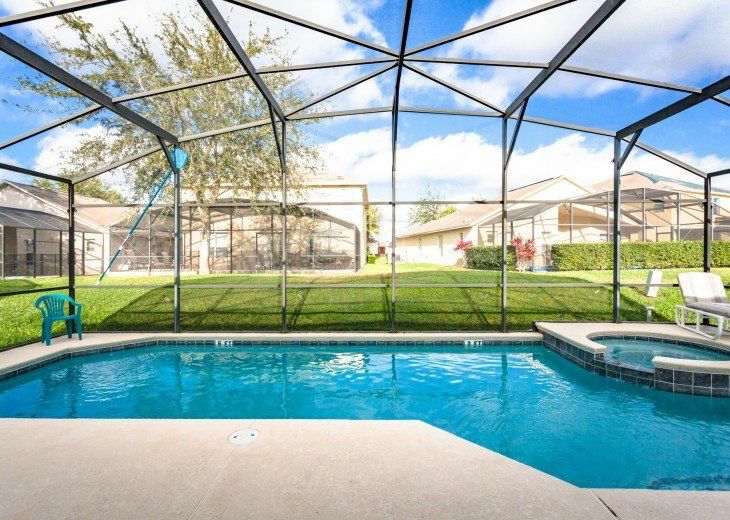 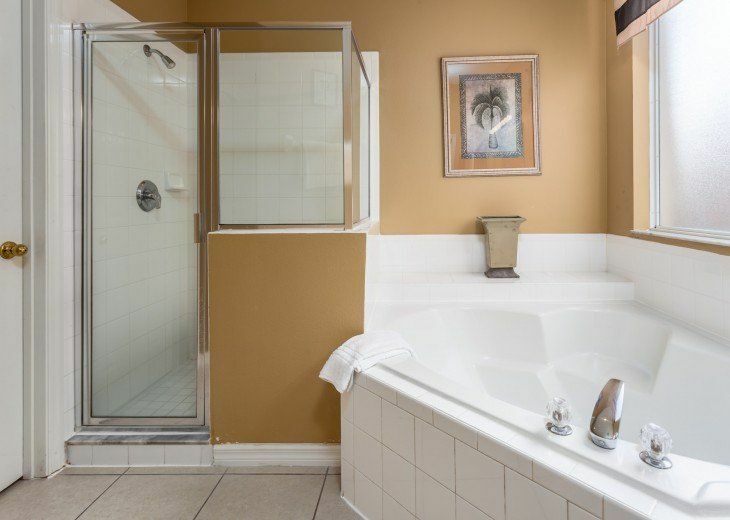 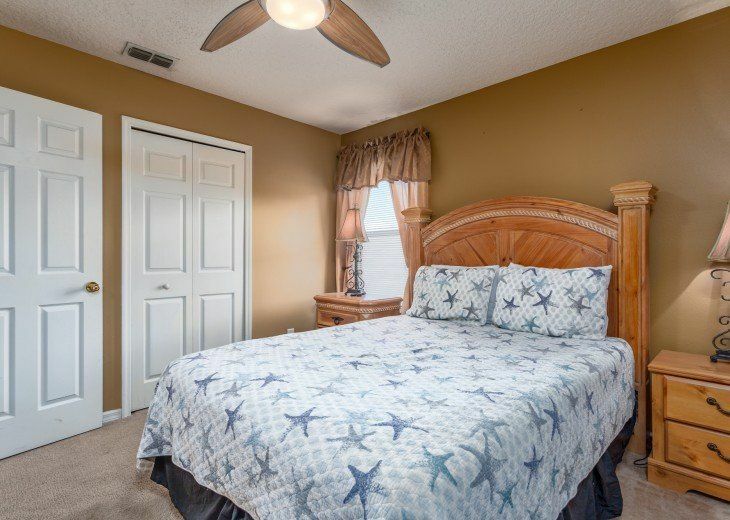 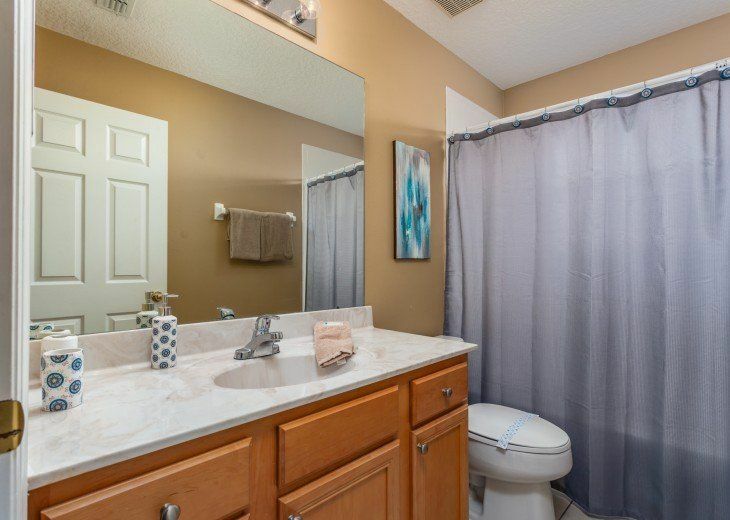 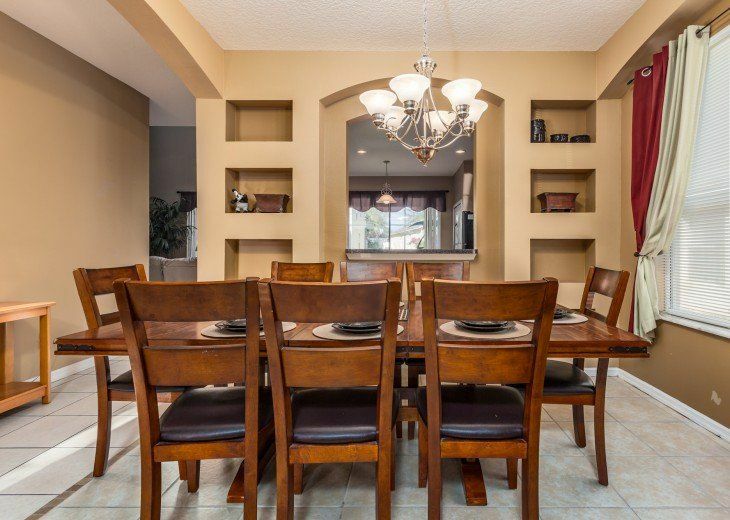 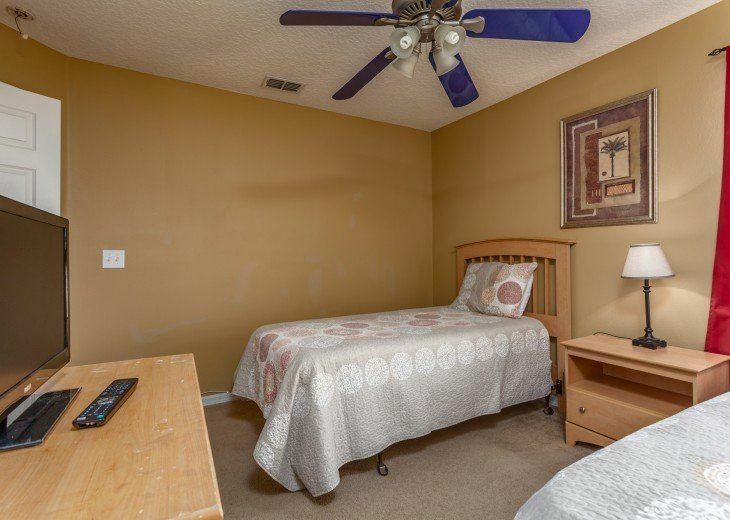 Enjoy plenty of room for your family and friends in this Orlando vacation home in one of the best locations in the area, Emerald Island Resort in Kissimmee, the closest vacation resort to Walt Disney World at just 3 miles. 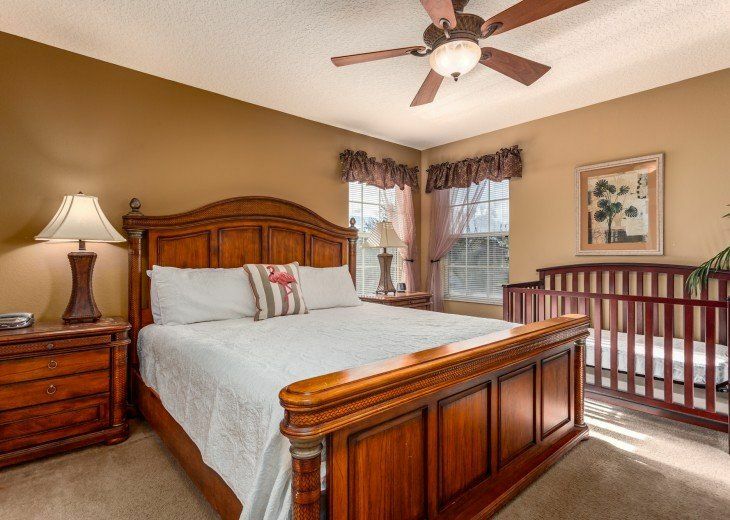 This 7-bedroom with vacation rental sleeps up to 14. 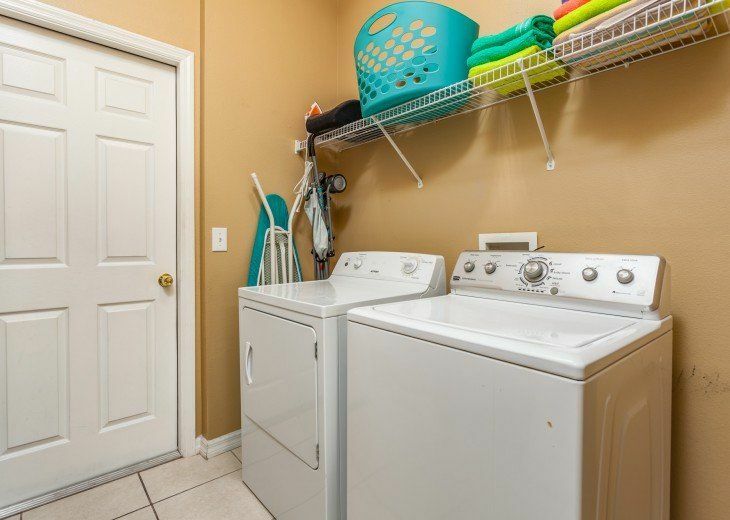 Your fun begins the minute you open the door! 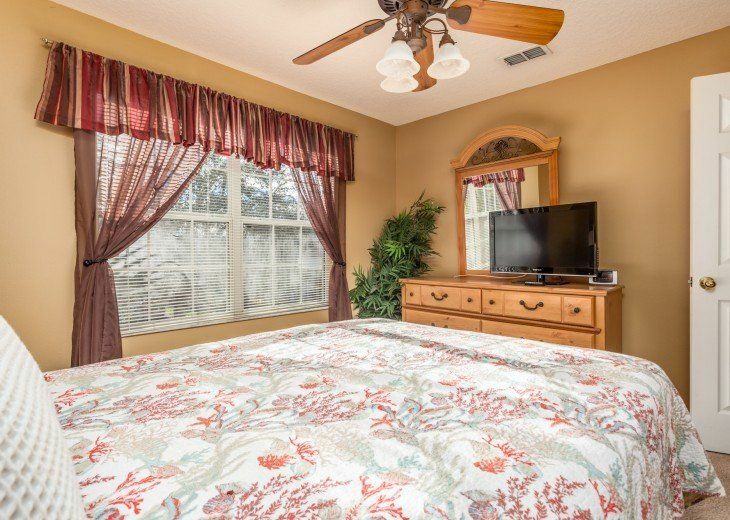 All this and you have access to Emerald Islands Resort facilities where you can enjoy the tennis courts, two heated pools, Tiki bar, nature trails, playground, volleyball, video arcade, sauna, gym, club house, picnic area with bbq, basketball court and a shuttle to the Disney Parks. 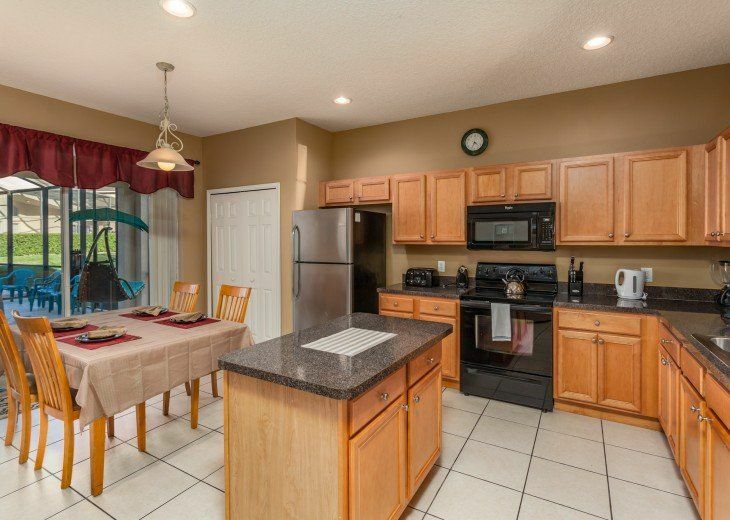 The kitchen is a large full sized kitchen that you'll find fully equipped to make money saving meals at home. 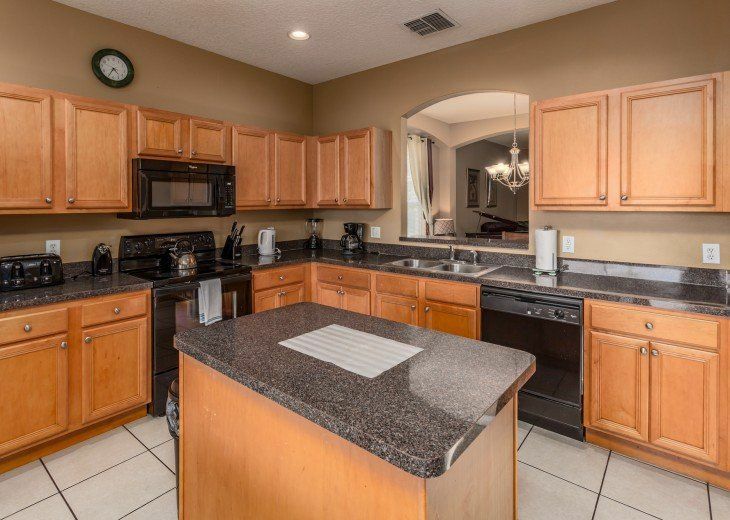 The kitchen features everything to make a quick snack or a full meal. 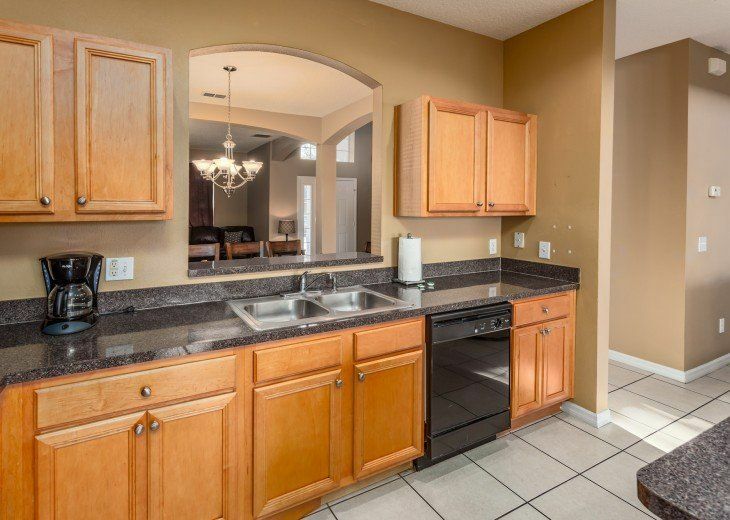 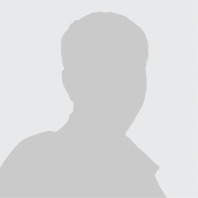 From the full size kitchen appliances to the well equipped kitchen ware. 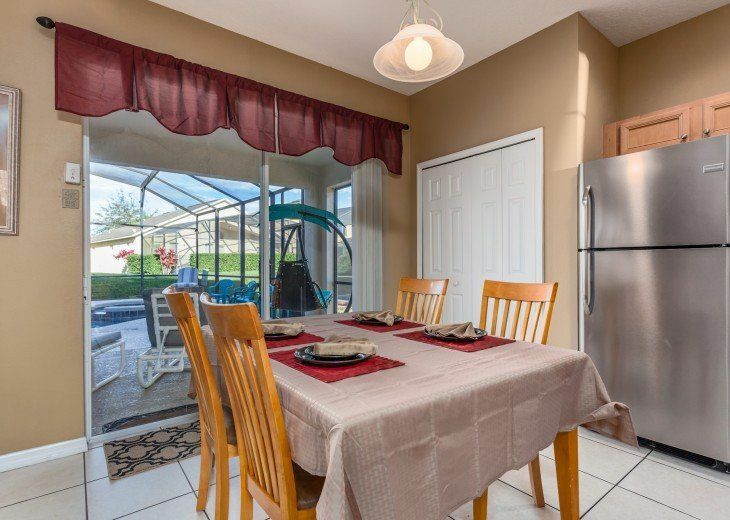 You’ll have easy access to the pool area from the two sliding doors opening to the lanai you'll always feel part of the action even if you are inside preparing a meal or snack. 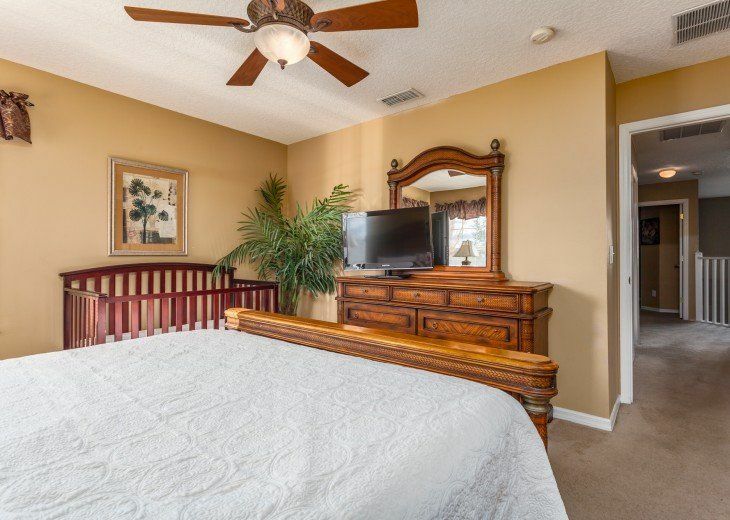 A king-size bed and large LCD television. 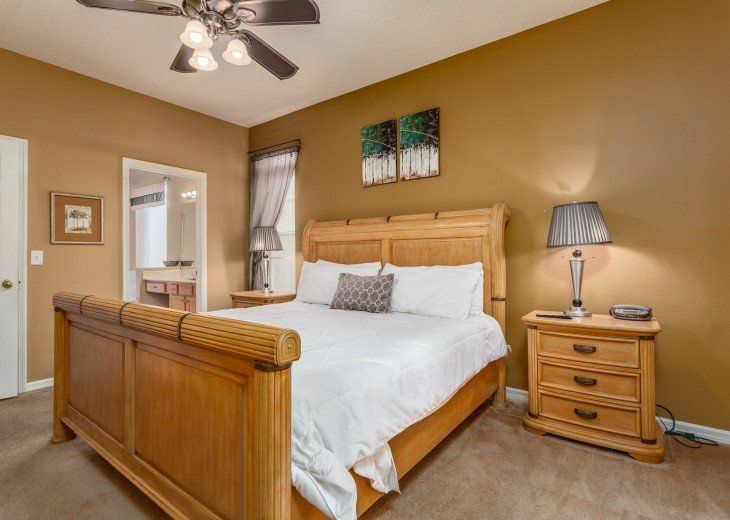 King-bed with ensuite bathroom with large LCD television. 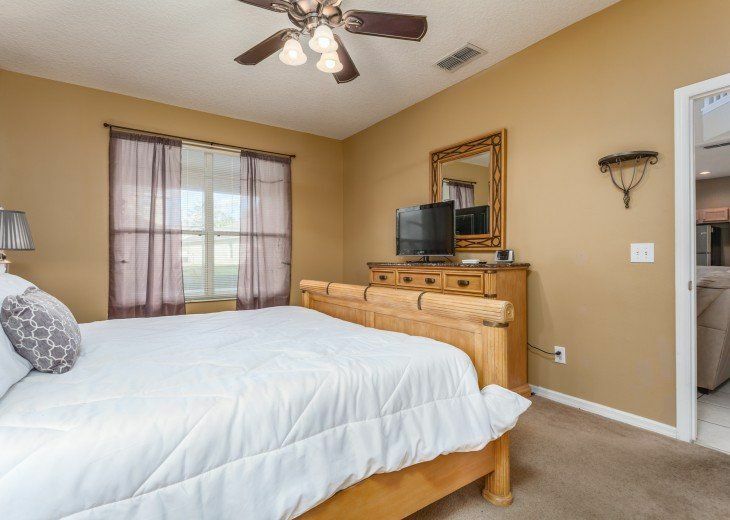 Queen-bedroom bathroom and large LCD televison. 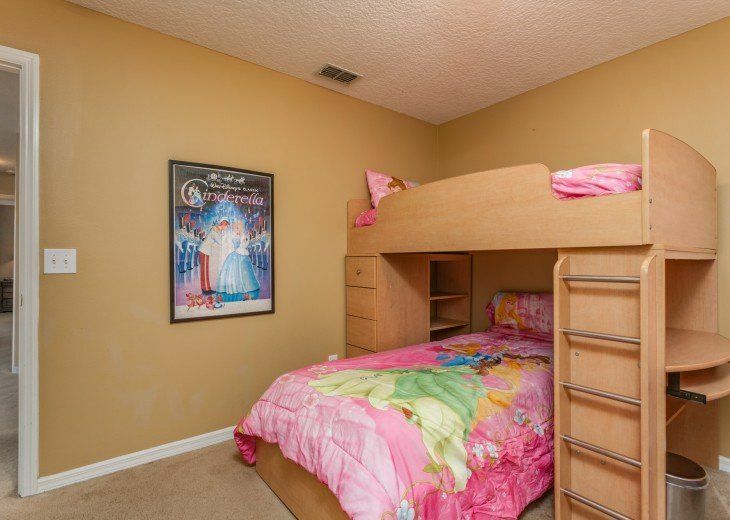 Bunk bedroom with shared bathroom. 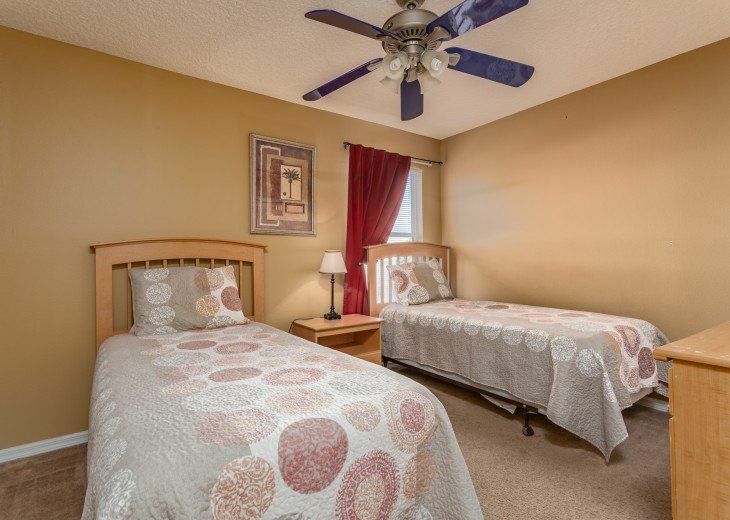 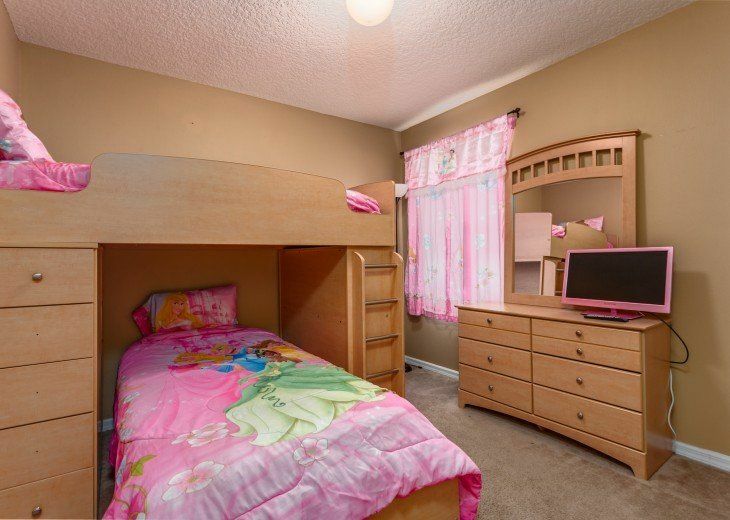 Two twin beds with a shared family bathroom. 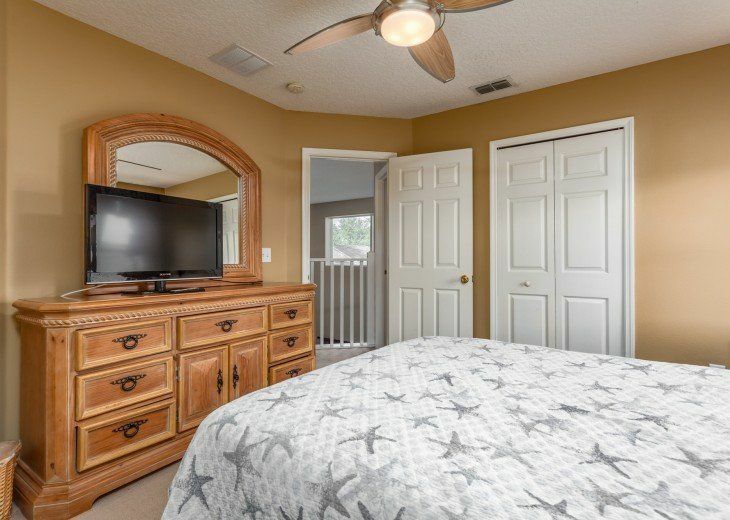 Queen size bed with a shared family bathroom. 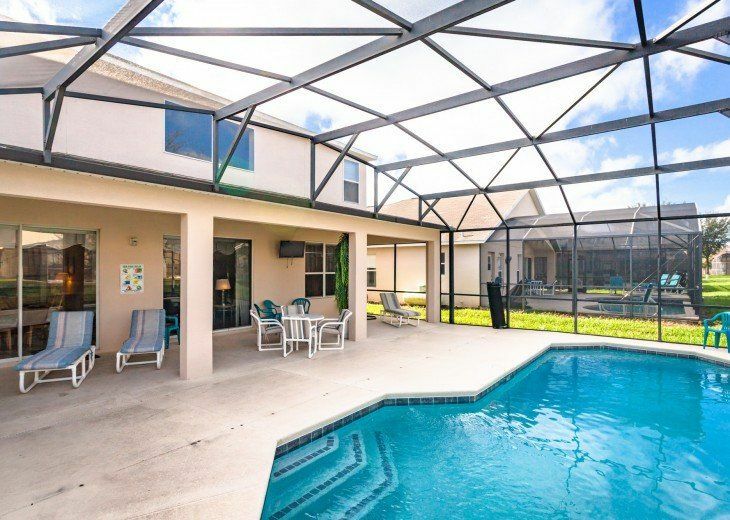 This beautiful home offers you a peaceful pool and spa area to relax and swim along with lounge chairs and an outdoor dining table. 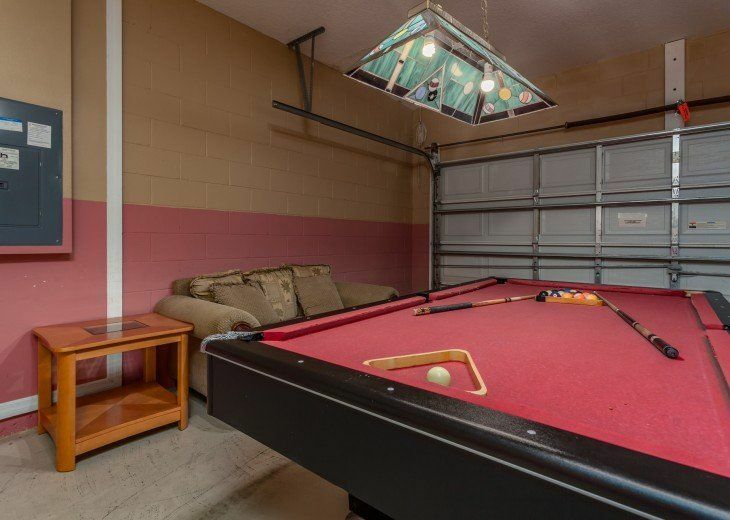 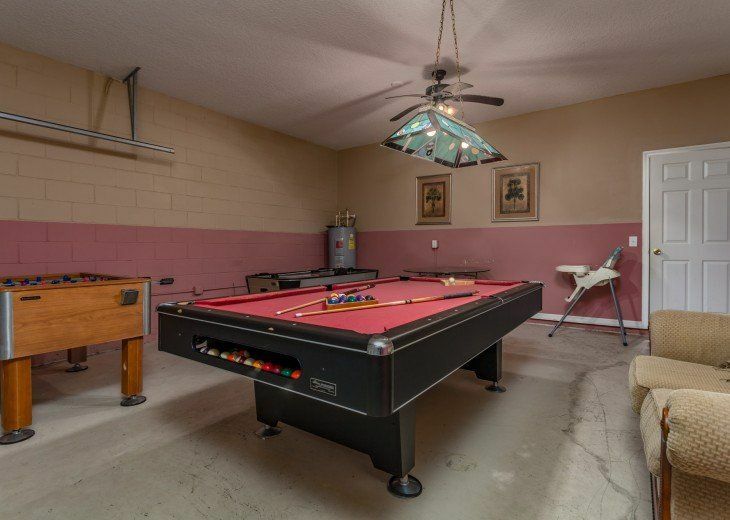 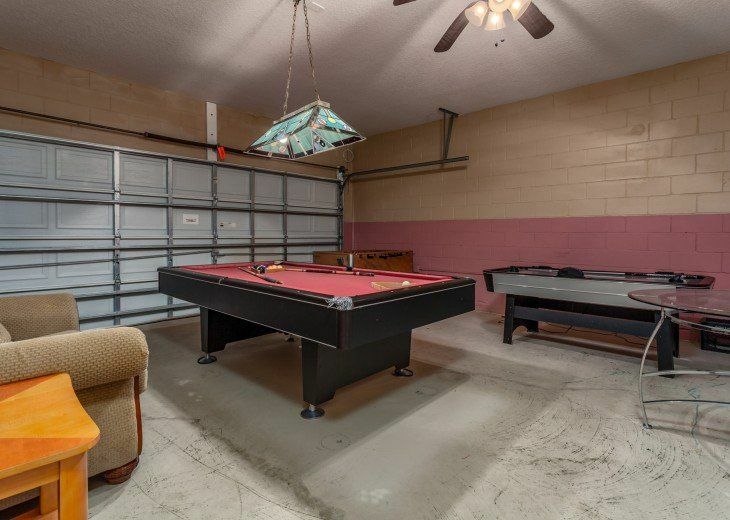 Everyone loves a fun game of foosball and pool and here you have your very own game room for evenings to relax and unwind in with a pool table, foosball and air hockey.